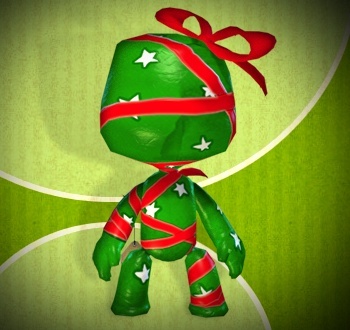 Crafting the perfect Christmas gift takes love, imagination, time, and a little help from Sackboy. For Christmas last year, I wanted to let my parents know I noticed and appreciated their sacrifices. I wanted to present them with a gift that required more consideration, time and effort than a Hallmark card and a packet of chocolate truffles wrapped in glitzy gold paper. I wanted to create the dry-macaroni picture frame for the 21st century, a gift so thoughtful and personal they'd remember it for years to come. The experience that Mark Brown creates for his mother is touching, combining games with the thoughtful spirit of Christmas. It's almost like a sappy Hallmark movie come to life. To get the full sweetness though, you have to read the rest of The Littlest, Biggest Gift of All. It will make your heart grow three sizes bigger.